My New (Zombie) Heartnut Trees – How Would You Do It? 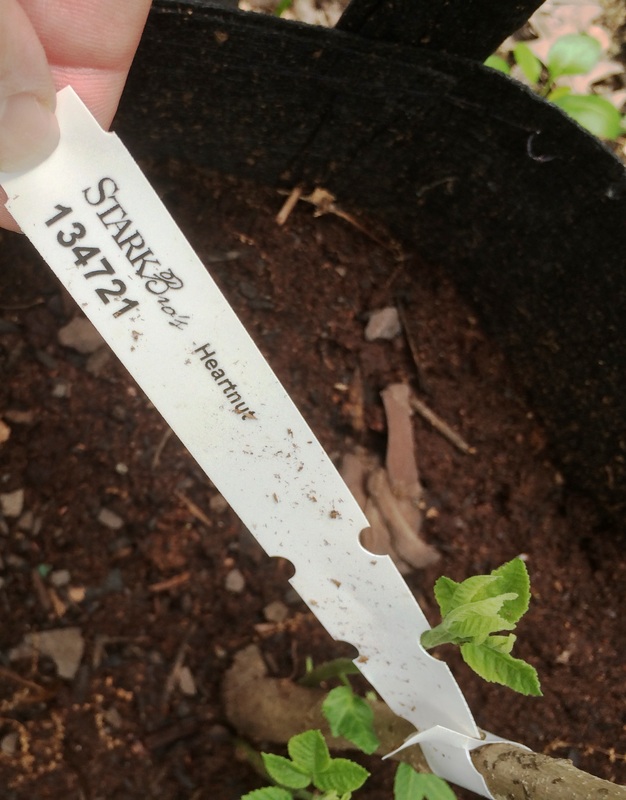 I purchased a couple Heartnut trees from Stark Bros in April and planted them bare roots, right away. I used big fiber pots and made sure they got ample water and sun. I wrote back to the company several weeks ago and asked why they had not leafed out. All they did was sprout a sucker from the grafted base. No reply. I wrote a complaint about the silence, saying I’d sent pictures and the receipt, what more would they want. The Customer Service lady wrote back in apology. She said the Stark server crashed and all the messages recently received were gone. I believe her. Better, she recommended I prune the top third of each tree off to wake the sleepy trees up. Clipper in hand, lop and lop. Alas, here it is August with no improvement. The suckers from below the graft are alive, but not the grafted part I needed. So they are dead, but partly alive. Zombies! Don’t get too close! Time to complain again! Oh, in the top picture it may appear the sticks have foliage. That’s raspberries ambling around them.